Sadly for some, this post could appropriately be titled: How to ensure our youth join the documented exodus of Catholics from the church. Why? Well, let me explain by first noting that the LGBTQ+ Catholic Student Coalition is a student-run initiative that describes itself as "a group of individual students from Catholic schools in Minnesota, and Catholic identified individuals who attend public or non-Catholic private schools, who are interested in advancing LGBTQ+ equity in their schools and local communities." The inspiring mission of this student-led coalition is to "create genuine, open conversation about LGBTQ+ issues at Catholic schools for faculty, staff, administrators, and students in Minnesota, and a safer, more equitable Catholic school environment for all students, particularly LGBTQ+ identified students." Members of the coalition come from four of the eleven Twin Cities metro-area Catholic high schools: Benilde-St. Margaret's, Holy Family, Academy of Holy Angels, and Totino Grace. This Saturday, May 16, 2015, the LGBTQ+ Catholic Student Coalition, with support from OutFront MN and the Justice Office of the Sister's of St. Joseph of Carondelet and Consociates – St. Paul Province, is hosting an event that's being billed as the "first annual LGBTQ+ Catholic student summit." Creating safe spaces for LGBTQ+ people of faith is the main goal of the summit, one that the coalition describes as "a day of conversation, learning, and action to improve the climate for LGBTQ+ individuals in Catholic environments, and the lives of LGBTQ+ Catholics in LGBTQ+ ones." The day will begin with Mass, followed by a keynote address by Kristen Ostendorf, who, in 2013, was fired from her position of English/religion teacher at Totino-Grace Catholic High School after she came out to colleagues as gay and "happily in a relationship." (Ostendorf now teaches English at Highland Park Senior High in St. Paul.) The summit's afternoon session will be devoted to a series of student-led workshops on creating safe spaces in Catholic schools, the experience of being LGBT and Catholic, and how to talk to people of faith about LGBT issues. The coalition and its partners expect more than 200 Catholic students from around the state to attend Saturday's summit. The young people who comprise the LGBTQ+ Catholic Student Coalition are quite impressive, wouldn't you say? I mean, they and their efforts are "signs and wonders" of the good news of Jesus, of God's transforming love breaking through into the world via the actions of people mindful and responsive to this love both in the depths of their being and in all aspects of creation. These young people are clearly embodying the gospel values of concern for the marginalized, compassion, inclusion, and justice. Also, their efforts to facilitate respectful dialogue reflect the leadership style of Pope Francis. Given all of this, one would think that these students and their efforts would be supported by the clerical leadership of the archdiocese. Not so. The LGBTQ+ Catholic Student Coalition regrets to announce that on orders from the Chancery of the Archdiocese of Minneapolis and St. Paul, Christ the King Catholic Church is no longer able to host the LGBTQ+ Catholic Youth Summit. Fortunately, Edina Community Lutheran Church (4113 W 54th St, Edina) has graciously agreed to host the event this Saturday, May 16. While we are deeply disappointed that we are no longer able to host this event at a Catholic parish, the decision from the chancery clearly demonstrates the need for this event and the conversations we will be having on Saturday at the summit. Now more than ever it’s important to come together as a community in solidarity! Can’t wait to see you all there. Of course, this type of action from the chancery is not new; in relation to LGBT issues, it dates back to October 2007 and the banning of 82-year-old “cradle Catholic” Robert Curoe and his lesbian daughter, Carol, from speaking at St. Frances Cabrini Catholic Church about their book, Are There Closets in Heaven? A Catholic Father and Lesbian Daughter Share Their Story. (For my thoughts at the time on this action by the chancery, click here.) Indeed, when it comes to questioning voices and differing opinions around issues of sexuality and church reform, the general response of the chancery under Archbishop Nienstedt (who, it should be noted, remains under investigation for allegations of sexual misconduct with adult men) has been to censor, denounce, and ban. In the context of our shared journey as Catholics, such actions are egregious missteps on the part of our clerical leadership. One can only speculate on the impact that the chancery's banning of the summit from official Catholic property will have on the young members of the LGBTQ+ Catholic Student Coalition. Their Facebook statement puts a positive spin on things, but I'm sure that many of the young people involved are nevertheless feeling hurt and rejected by the message that's been sent by the chancery's directive. One third of young people who left organized religion did so because of anti-gay teachings or treatment within their churches, according to a new study. While not surprising—it’s no secret that younger Americans are more accepting of gay people—it puts a number on the cost anti-gay policies can have on organizations. A full 31% of young people (ages 18 to 33) who left organized religion said “negative teachings” or “negative treatment” of gay people was a “somewhat important” or “very important” factor in their departure, as surveyed by the Public Religion Research Institute. A strong majority (58%) of Americans also said religious groups are “alienating” young people by “being too judgmental on gay and lesbian issues.” A full 70% of young people said the same. 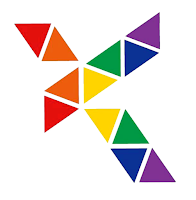 In response to the chancery's latest misstep, the Catholic Coalition for Church Reform is encouraging the members of its lay network to "write to Archbishop Nienstedt and tell him what you think of his decision to order Christ the King parish to cancel a GLBTQ youth event." For more information about the LGBTQ+ Catholic Youth Summit, including how to register, click here. Students Organize Youth Summit to Be Held This Weekend – Grace Gyolai (Knight Errant, May 14, 2015). First Annual LGBT Catholic Student Summit to Be Held Saturday – Andy Birkey (TheColu.mn, May 12, 2015). America’s Changing Religious Landscape: Christians Decline Sharply as Share of Population; Unaffiliated and Other Faiths Continue to Grow – Pew Research Center (May 12, 2015). Big Drop in Share of Americans Calling Themselves Christian – Nate Cohn (New York Times, May 12, 2015). Study finds Significant Decline in Minnesotans Identifying Themselves as Catholic – Joe Kimball (MinnPost, May 12, 2015). How the Church Can Get Millennials Back – Christopher J. Hale (Time, May 14, 2015). • Dave Navarro to LGBT Youth: "We Need Your Voice"
This is a dangerous time for the Catholic Church, as it isn't an institution that deals well with change OR lay opinions (or, even worse, changing lay opinions), and yet it now has both in large amounts. As for the students, well, In the end & quite sadly, these wonderful young people will eventually have to make a choice between being their authentic selves or leaving the Roman Catholic Church, as this story is yet more proof that they can't have both. An old saying goes "Never stay where you are not wanted", which rings true here. The good news is that there is life beyond the Catholic Church for these students. The Archbishop is concerned about religious freedom for Catholics in relation to the power of U.S. laws, but does he understand the relation of freedom and the use of his own power within the Catholic Church? His action in countermanding the decisions of the parish and the student planners in this event is a violation of their freedom. Of course, he has the power to make them buckle as well as the authority to use that power, but is it a wise and just use of the power to intervene in the free decisions of adult parish administrators and student planners? The Archbishop can not in the future say one credible word about religious freedom because he has demonstrated a gross misunderstanding of the use of his own power to coerce behavior. I'm also wondering if any word of his about love, unity, or justice can carry any weight. It makes me weep because I had hope that he had gained insight over the last several years of struggle with the GLBT community. Took me a while, but I finally learned that instead of trying to bring our Children and Grandchildren into our notion of Church, We should be adopting THEIRS! Nienstedt seems incapable of such wisdom. I find the Millennials inspiring too, John. What does a future church look like to you? Is there anything to worry about? What kind of support do they need? What is This Furor About Religious Liberty?